Pinot Noir has always been recognized as one of the noblest red wines, and also one of the most difficult varieties to produce. It has many faces and expressions, from light and fruity to dark and earthy. It is these nuances and qualities that excite us to continually pursue the "Holy Grail" of Pinot Noir. 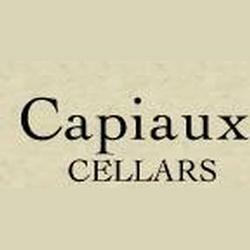 Sean Capiaux founded Capiaux Cellars in 1994, Capiaux cellars is dedicated to producing single vineyard bottlings of Pinot Noir. The philosophy is to produce wines that express the unique location from which they came, a sense of place or distinctive quality that sets them apart. Therefore, only high quality, low yielding, select clonal grapes are used, from unique viticultural areas. The winemaking style is a blend of classic and contemporary, utilizing cutting edge fermentation equipment paired with natural hands on winemaking, our emphasis is on balance All the wines are naturally fermented and unfined and unfiltered to preserve their innate flavors and aromas. Minimal amounts of new oak are used, usually 33%. Vinous Media 91 "Sean Capiaux's 2014 Pinot Noir Chimera is one of the great values in artisan California Pinot Noir. Bright floral aromatics soar over a core of sweet, red fleshed stone fruits. Readers will have a very hard time finding a classier and more delicious Pinot than this for the price.